I may have said this before but I’ll say it again – goddammit Jamie N make an album! Enough of these EPs, I want a full length album that you can focus 10-12 high quality tracks towards and produce a piece of brilliance that will get everyone talking and expand your reputation as an excellent songwriter and musician! You may or may not be familiar with Jamie N Commons, you may have heard that “Jungle” song a few years back, especially the remix of it featuring Jay-Z. 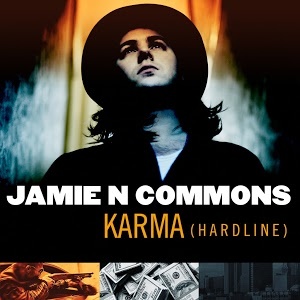 It was a collaboration between Jamie N Commons and the X-Ambassadors. It’s the most famous song really Jamie N Commons has done but he’s also done some fantastic tracks over the years. In my eyes he’s far better than, say, Sam Smith, Ed Sheeran and George Ezra, similar artists in the genre. And “Karma” really is a strong track to get into, if you’re not familiar with him. His voice is just gold here and the song itself is quite strong musically so it’s a good combination; a lot of his songs concentrate more on his great vocals so may put off certain people who like a bit of bang to go in the background with these type of singers. I don’t know what to say other than – listen to this man if you haven’t before, you may be missing out on a new favourite singer songwriter! If you missed #30 go here.